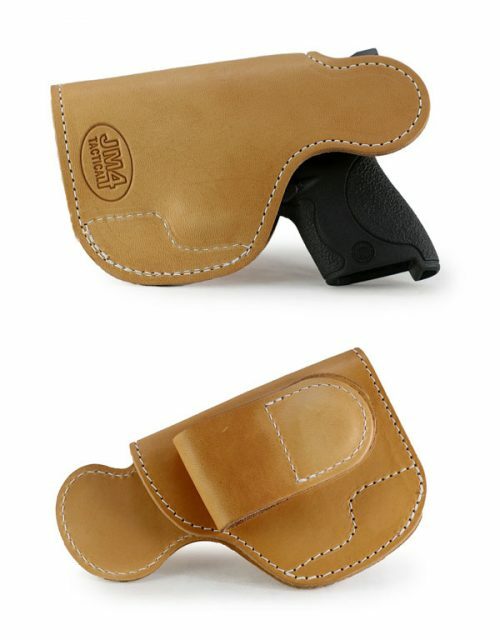 This is the High-Ride JM4 Tactical Quick Click & Carry Holster. 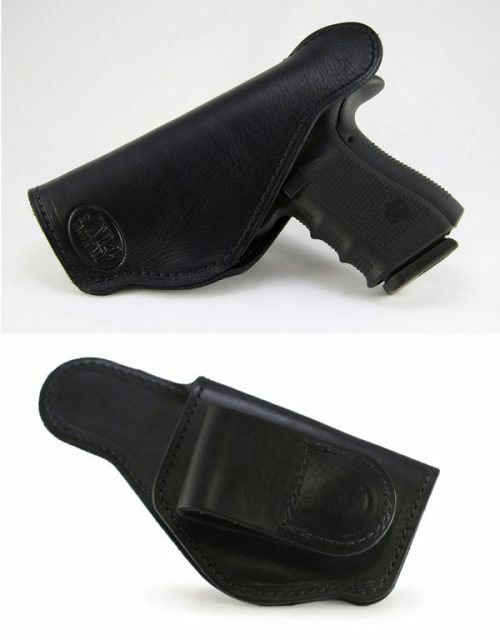 It sits higher above the pant line than the original, allowing for an immediate grip acquisition for a combative draw. Learn more about this and other JM4 Tactical Magnetic holsters below! The JM4 Tactical Leather Gun Holsters are available for just about every size gun you can think of. What Makes The JM4 Tactical Magnetic Holster Different? 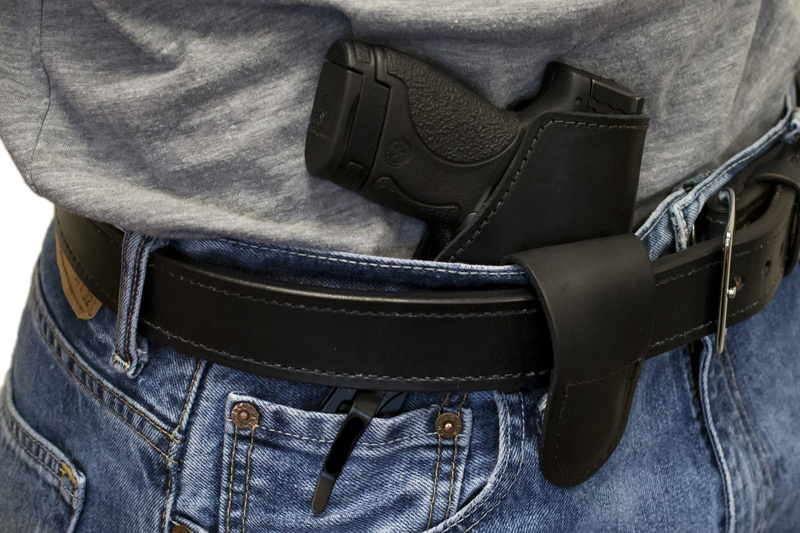 Any Clothes – Any Person: Most IWB holsters rely on one or more clips to attach themselves to your belt or clothing. This becomes restrictive for anyone who wears anything other than a strong belt with pants. 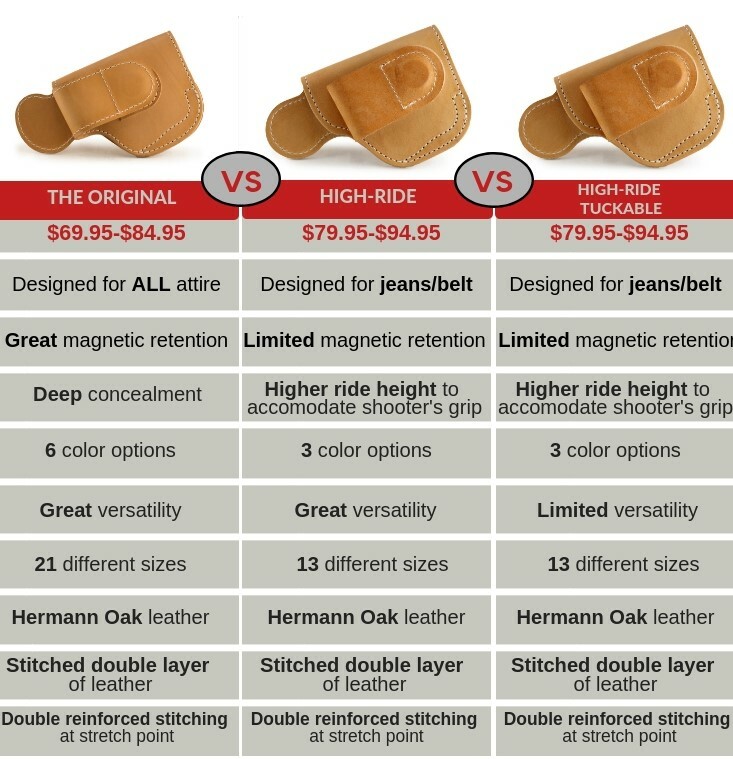 JM4 uses an amazingly effective set of dual-purpose rare earth magnets click and clip onto any waistband so you can use it with shorts, sweats, activewear, yoga pants, or anything at all. Assuming the weight of the gun doesn't pull the pants down, the holster will securely connect itself to your pants via the magnet. We all have different body shapes. 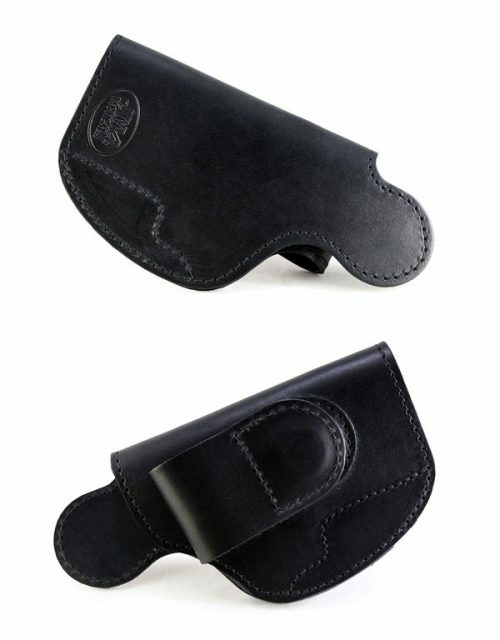 It doesn't matter if you are a man or a woman you have a unique shape and unique needs for a holster. 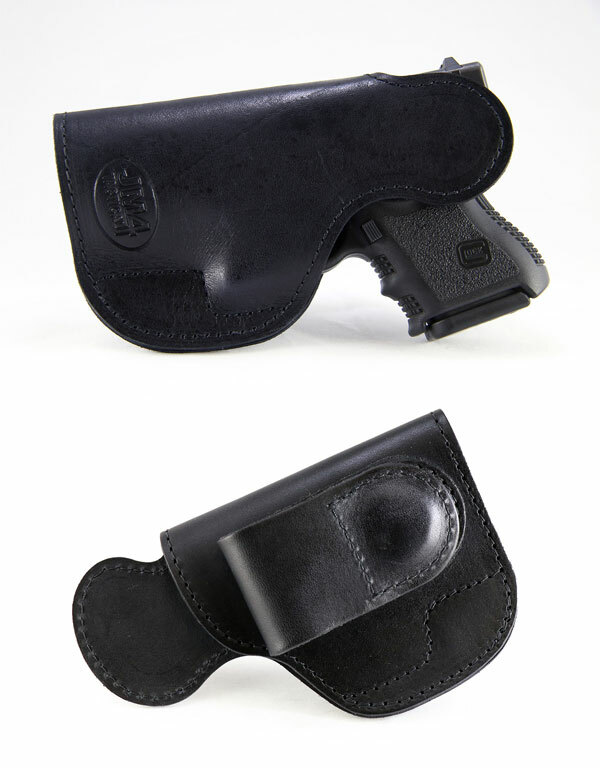 The Quick Click and Carry Holster is slim and doesn't take up space with a backer for clips or extra material for any purpose. Just exactly what is needed to comfortably carry concealed IWB with or without a belt. Quick On and Off: No more trying to work clips or loops on or off your belt. 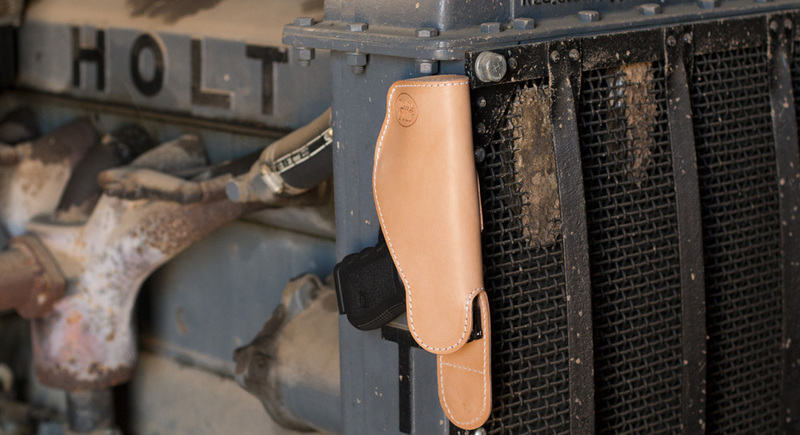 The JM4 Magnetic Holster will quickly slide onto your pants and is ready to go. 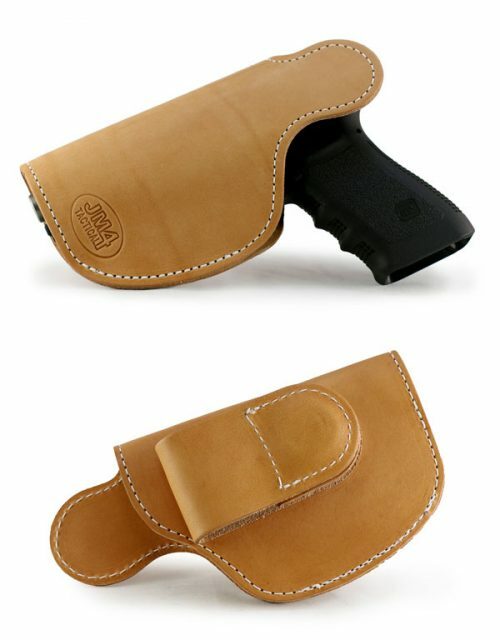 Ultimately you need a holster that is convenient so as to increase the odds of you having a firearm with you as part of an EVERY DAY CARRY system. That means everywhere you go all the time. 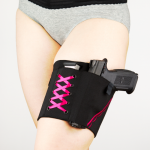 No more leaving the gun at home when you go to the gym or run a quick errand. There are also a number of models specifically sized to accommodate lasers and lights. Don't worry JM4 isn't prejudiced against revolvers either. This is your new revolver holster / laser holster / light accommodating holster! 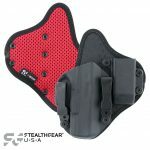 The Magnet in the Magnetic Holster Has a Second Purpose – Retention: In addition to securing the holster to your pants, the magnets also retain the gun in the holster. 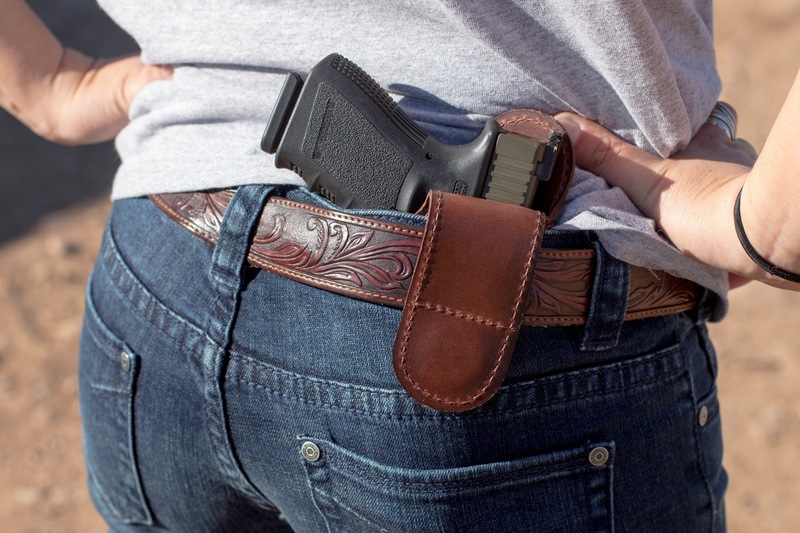 Like safety features, good retention is a sign of a good holster. 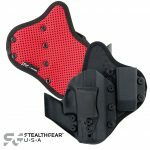 They choose magnets and designed the construction of the holster to place those magnets in the ideal place to create just the right amount of passive retention. 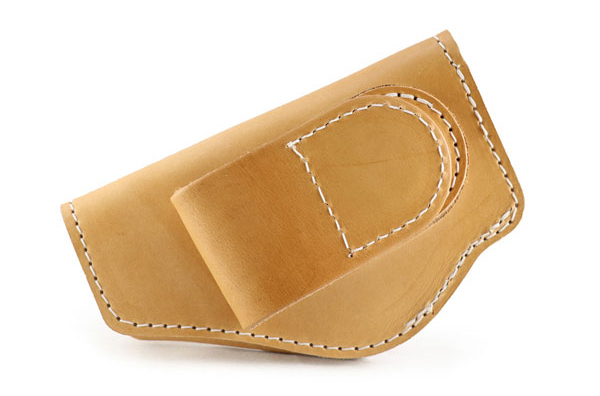 Everything That Is Good About a Leather Holster: These are made with two layers of stitched Hermann Oak Grade A Vegetable Tanned Steer Hide that is PH balanced for extended contact with your gun. Only the highest quality holster materials are used. Hard plastic from injected molds are known to cause damage over time to a firearm's finish. Metal or plastic clips can scratch the gun and tear holes in your shirts. 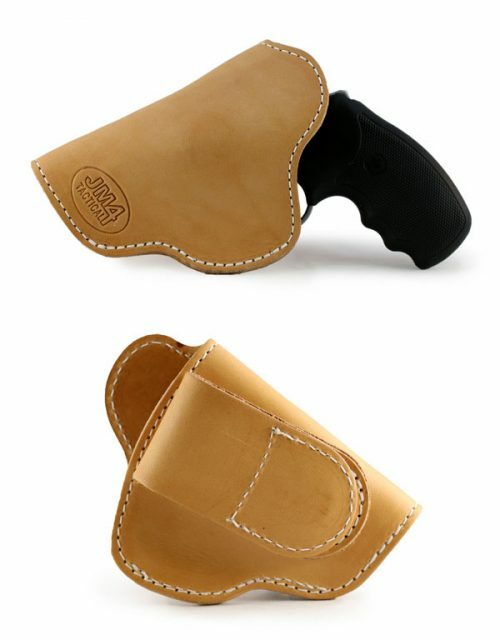 This quality leather holster has no sharp edges and no materials that could damage anything. WHICH JM4 Magnetic Holster Do You Need? **To keep the holsters as comfortable as possible, they don’t apply a sealant to the black IWB holsters, therefore the color may bleed onto the skin or your clothing during the first couple uses. This will diminish after time. Be the first to review “JM4 High-Ride Magnetic Quick, Click & Carry Holster” Click here to cancel reply.